Observation - woodlark - UK and Ireland. Description: lark, perched on telephone wires singing a very musical ullulating song with a descending scale. 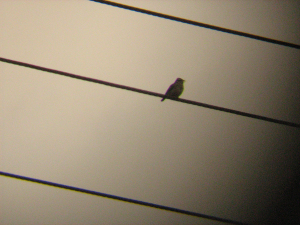 lark, perched on telephone wires singing a very musical ullulating song with a descending scale.